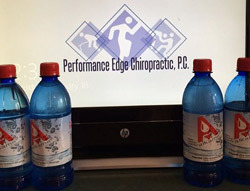 Are you getting enought water in your system? Most have read that we need 8 glasses of water a day for proper body function. While this is a good ball park number, it may not always be enough. you may need more water in your system. Yes, still try to get your 8 glasses. It doesn’t all have to come from straight water. Juices, and certain food do have a substantial water content. Keep an close eye on your thrust as well as you urine color. can lead to a temporary change in urine color. I know many can’t stomach plain water.